BG: Very pale, Garnet. AKG: Garnet, glossy, translucent. EU: Bright ruby/garnet. BG: Stewed strawberry, cranberry, savoury red fruit. Lovely. AKG: Strawberries, lemon, smokiness, pine. EU: Strawberry, Kirsch cherry, jasmine, plum jam. BG: Body medium minus. Savoury strawberry, cranberry, pomegranate. Very old world. Intensity medium minus. AKG: Barbecued strawberries, intensity changes in the flavour sequence. Earthy, mushrooms, longish finish smooth. EU: Bright acidity, ripe sour cherries, vanilla end finish. Distinct tannins with long finish, simple plums, easy but interesting. BG: Pale, mostly garnet. AKG: Cherry, some sediment, pinkish tones. EU: Dark garnet. BG: Fresh cherry, bit of tobacco, light herbal, aromatic bark. Some noticeable alcohol, some fresh herb – mint? AKG: Candy apple, pomegranate, cherry, leather. 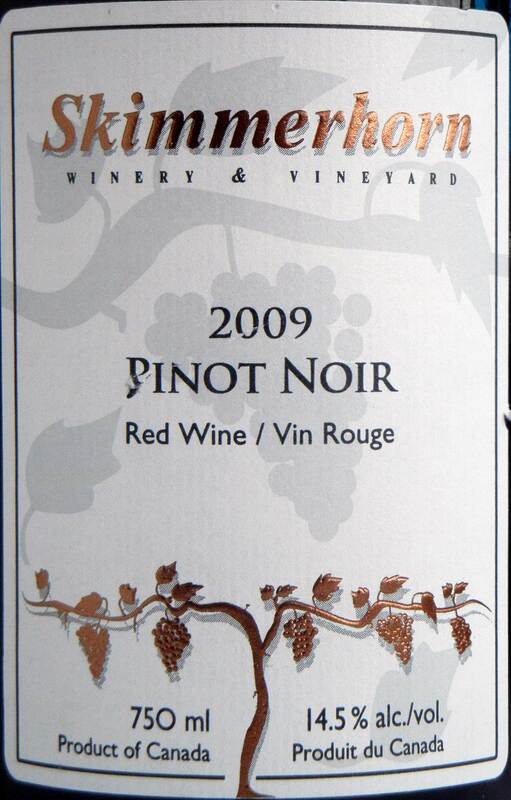 EU: Light tar, exotic spice, roast plum, strawberries, currents, floral. BG: Wood tannins, tobacco, fruit partly dried out,. Wood seems to have outlasted the fruit. Longer aftertaste, but mostly barrel marked end flavour. AKG: Charcoal, mushroom, dark cherry, savoury fruits, spicy/peppery EU: Oily meat, ripe red fruits, pomegranate, molasses, ripe full body, balanced tannins/acidity, long finish. Ready to drink. BG: Pale, garnet shading to brown. AKG: Bricky, almost brownish, clearing glossy to. EU: Dark garnet. BG: Cherry wood, chestnut wood, oloroso sherry, slightly sour, some cherry. Floral and roses, smells a bit like an older Brunello. High acid, some noticeable alcohol. Intense Woody savoury fruit. AKG: Sherry, plum, toasted nuts. EU: Light tar, dried cherry, plum, spice, dark caramel, roses. 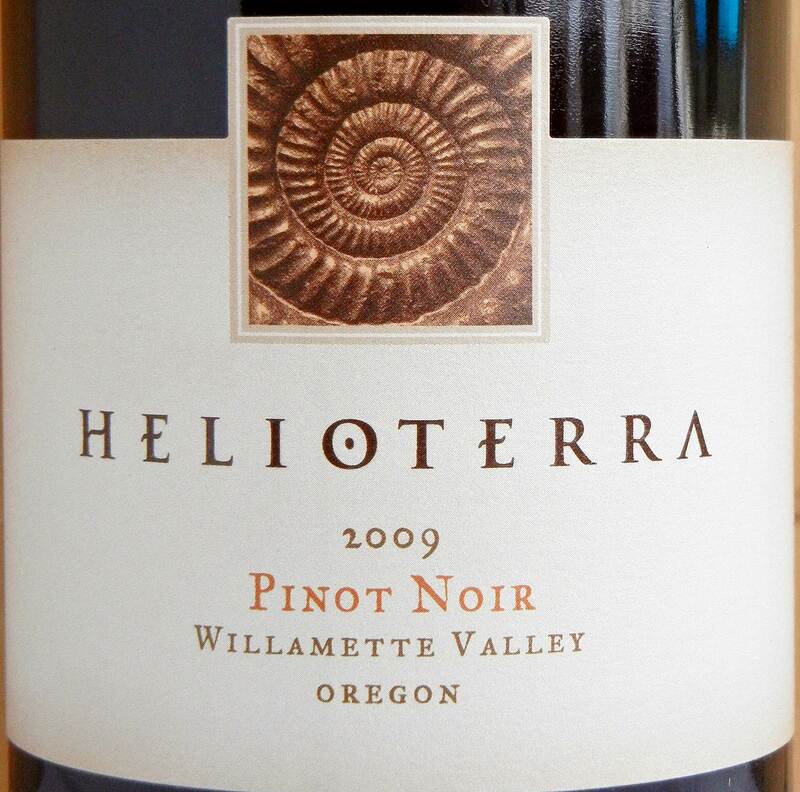 BG: As on the nose, high acid, roses, tastes a bit like Northern California pinot though fruit not bright enough. 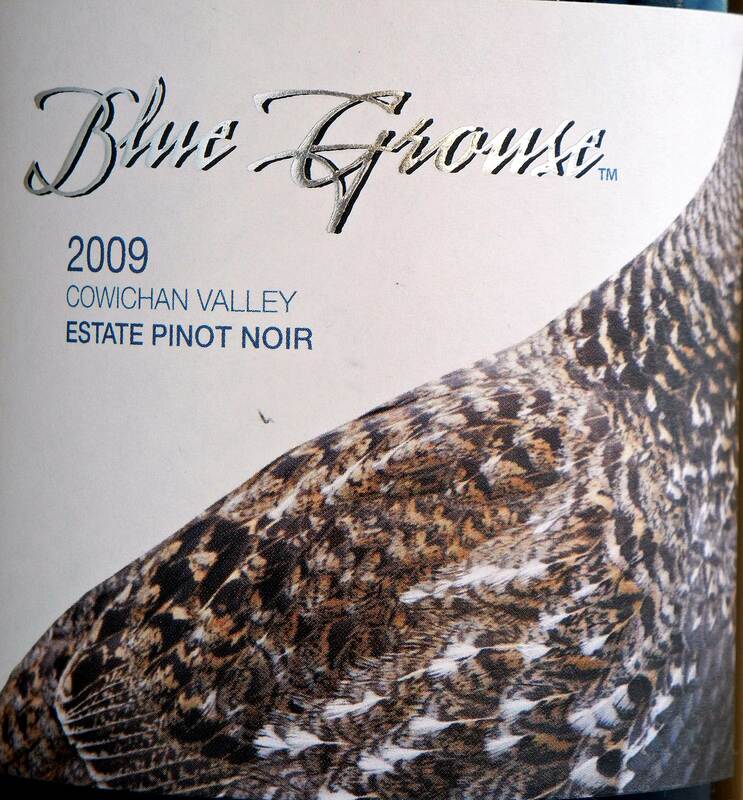 Excellent balance, long, interesting wine but seems a long way from Pacific Northwest pinot. Body medium. Intensity medium minus. AKG: Ripe tannins, sour fruits, nice balance, medicinal/herbal, anise. 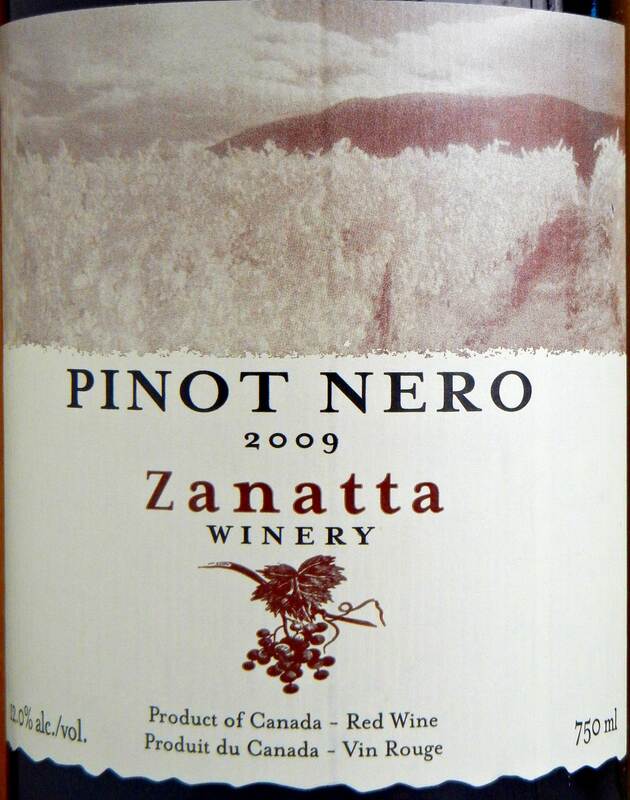 EU: Anise, licorice, caramel, red fruits, pepper tingle with balanced acidity not woody. Savoury rich like Barolo drink now. Needs meat. BG: Pale, cherry rim. AKG: Cherry – Garnet, clear and glossy. EU: Dark garnet. BG: Very light, light spoiled fruit juice, little bit candied, simple, cherry. AKG: Swimming pool, cough drops, strawberries, cherries, huckleberries, vanilla. EU: Watermelon, strawberry, herbal (lemon balm or lemon thyme), anise, sweet flowers. 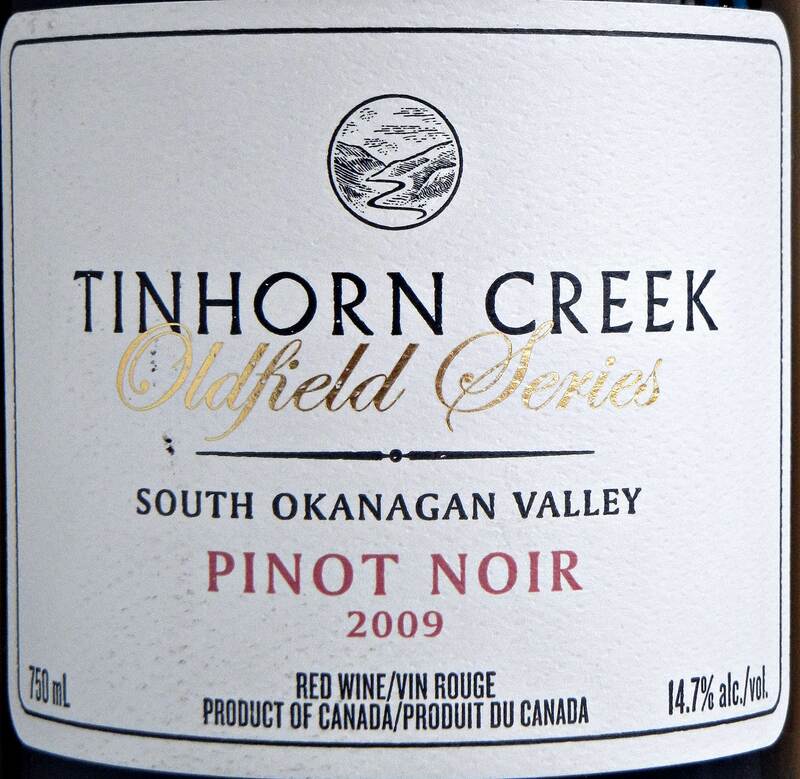 Tinhorn Creek have been making pinot noir in the Golden Mile for a long time. 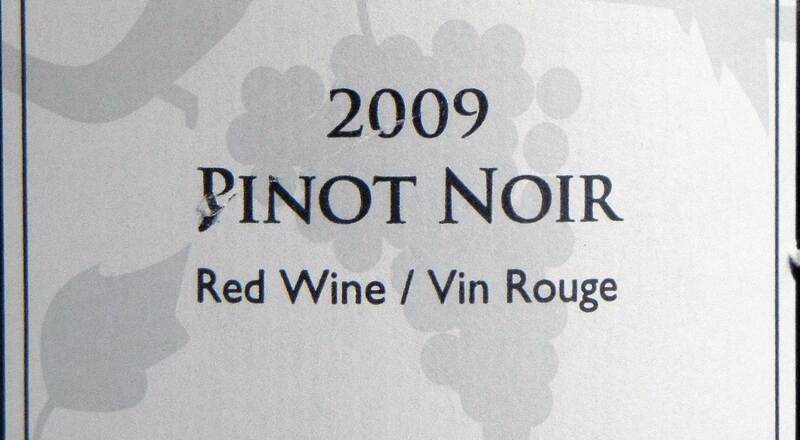 The inaugural pinot noir vintage was 1994. 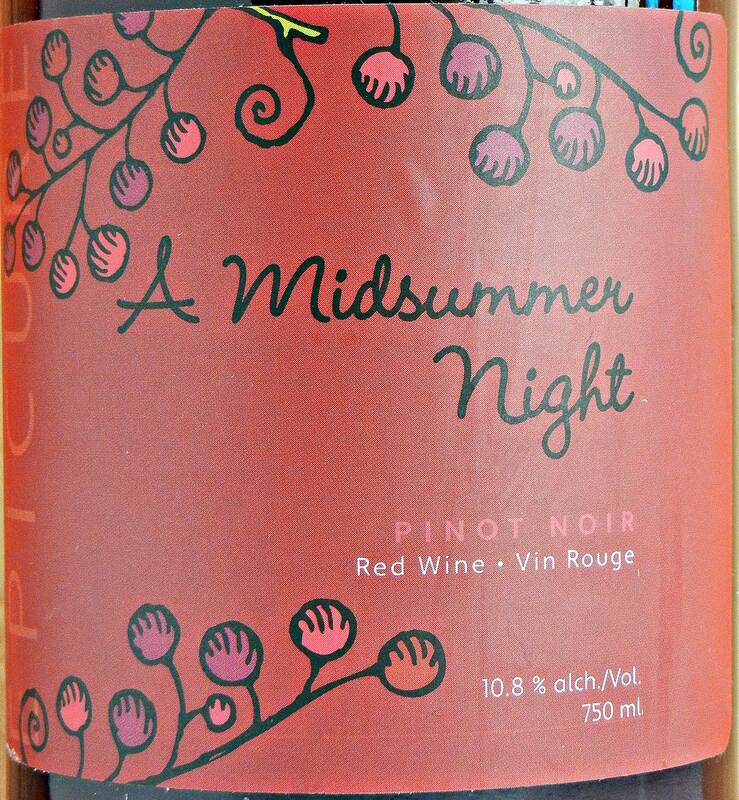 They own approximately one hundred and fifty acres on both sides of the Okanagan Valley just South of Oliver and make two pinot noirs, an entry level estate bottling and their premium Oldfield Series wine, produced from twenty plus year old vines. BG: Pale, Ruby/Garnet rim. AKG: Cherry – pink, glossy and rich looking. EU: Dark Ruby. BG: Chocolate cherries, roses! Creosote, pomegranate molasses, cherry wood. AKG: Rich – cocoa butter! 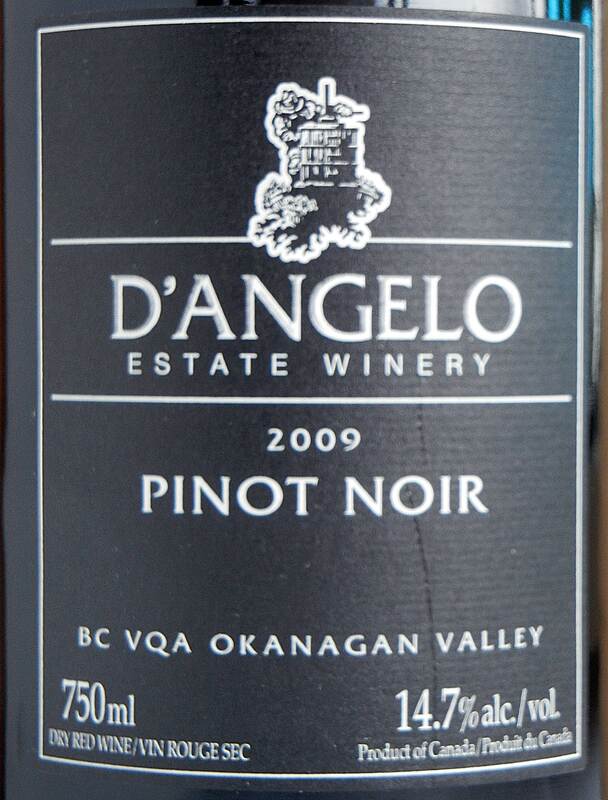 Ripe fruits, mineral notes, chocolate cake, maraschino cherry, strawberry jam, Woody. EU: Dark toast, wood, tar, grassy compost, wood, pepper, vanilla cherries in background. BG: Roses, tar, some tannic grip. Cherry wood finish. Hard to find fruit and tannin is slightly puckering, bit of an alcohol burn, acidity high,. Body medium minus intensity medium minus. AKG: Chocolate strawberries, long finish,. Goes into mineral water touch in finish, raspberry, woody, very tannic. EU: Light red fruits, oak, long strong dry tannins and accompanying acidity. Wood dominates. BG: Garnet rim, pale. AKG: Cherry/pink, glossy. EU: Bright Ruby. BG: Cranberry, pomegranate, cherry, strawberry, intensity medium minus. Fruit intensity on the nose seems to funnel straight onto the tongue. Fruit predominant, good acidity. AKG: Orange blossom, strawberry shortcake, thimbleberry. EU: Complex cherry, Kirsch, dark toast, oak, spicy with cardamom, pepper and sweet spice. Floral strawberries, sweet, red, dark berries. BG: Roses, vanilla, strawberries, intensity medium minus. Good balance, intensity maintains throughout the flavour sequence. Some baking spices, tannins of, acidity medium minus but definitely in balance. AKG: Strawberries, lemon, vanilla, baking spices. Nice balance. EU: Fresh strawberries, minutes, watermelon, lime. Distinct tannins help apparently low acidity. Well-balanced and complex. BG: Garnet rim, pale. AKG: Garnet, clear, glossy. EU: Dark garnet. BG: Alcohol, roses, tar, Sherry, faulted? AKG: Sherry, smoke, barnyard, cherry. EU: Compost, roast strawberry, Morello cherry, black cherry, toasted grain. BG: Low acidity, tar, roses, tannins fairly soft but still dominate. A lot of barrel effects, some pleasant some less so, alcohol medium plus, medium plus finish. AKG: Blackberry, licorice, almost salty, savoury fruits, very intense flavour. A bit hot, but interesting notes on the finish with licorice, caramel and a little bit of woodiness. EU: Dark Porty cherries, caramel, strawberries that are dominant with the tannins. BG: Ruby/garnet, pale. AKG: Garnet with pink and brownish rim. EU: Cherries brown edges. BG: Pomegranate with some good intensity, fresh cherry, citrus flower. AKG: Sweet onions, toasted nut, pine notes? Rainier cherries. EU: Earthy composty, animal, oily, varnish. BG: Floral, cranberry/pomegranate, very soft, good acidity. Good complexity, very soft tannins. Fruit driven with some good focused fruit. Alcohol is medium, body medium minus, medium minus intensity. Good balance with low tannins and sufficient acidity to knit it all altogether. AKG: Great mouthful, long lemon finish, light touch of toasted oak vanilla, cranberries, huckleberry, maybe a little bit of sourness. 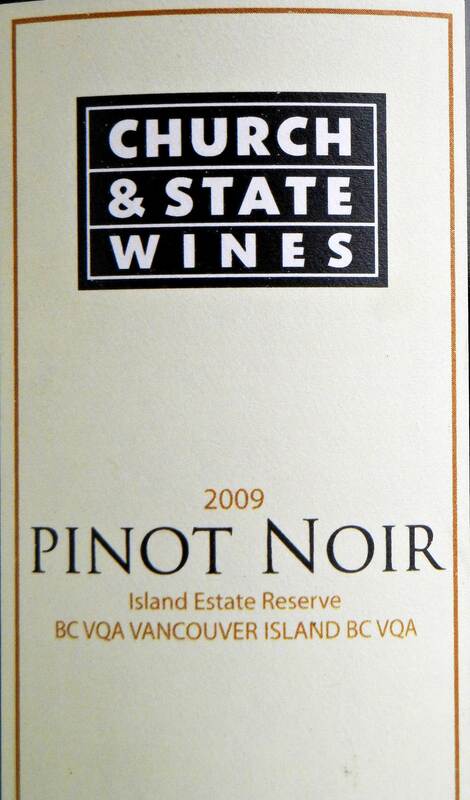 EU: Vanilla cherry, strawberry, cherry, distinct dry tannins with vanilla strawberry finish. Light meaty (white meat chicken or pork).